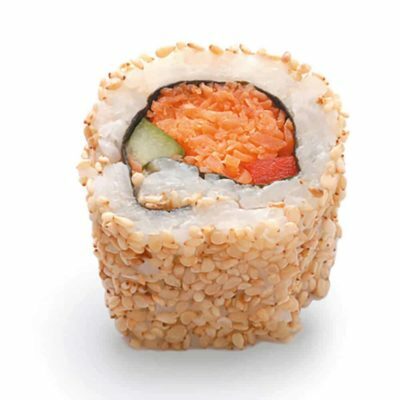 If we asked you to think of sushi, we’re guessing you’d imagine something along the lines of raw fish and rice, right? Fish is closely associated with sushi, and for good reason too. After all, sushi is traditionally prepared using fish in Japan- so it’s really no surprise that’s what comes to mind. But, contrary to popular belief, sushi doesn’t always have to be synonymous with fish. There, we said it! Meat eaters don’t get to have all the fun. 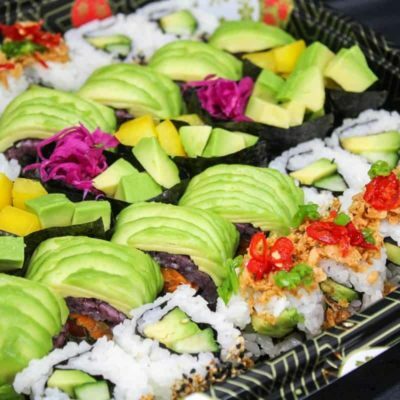 Sushi for vegans & vegetarians has flourished in recent years. And whilst it might not be the most authentic of things, this delicious Japanese delicacy has adapted to cater for the growing market of non-meat eaters here in the UK and further afield. Although you might be a little more stretched to find vegetarian sushi in Japan, veggie options here in the UK are aplenty. From Inari sushi to vegetable filled rolls. Those looking for sushi minus the meat are spoiled for choice. 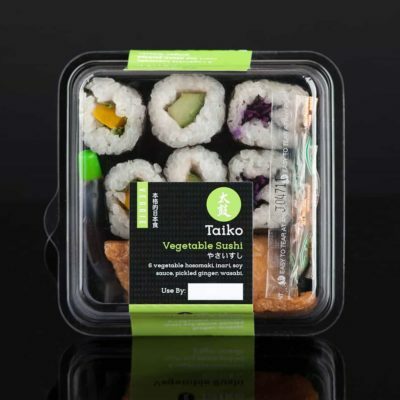 Here at Taiko we’ve been at the forefront of Japanese food’s growing popularity in the UK over recent years. 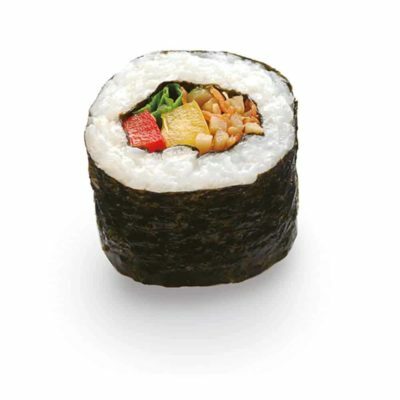 Sushi’s now a firm British favourite, available in dedicated sushi restaurants and on supermarket shelves. Consumers expect to get their hands on it easily and speedily. So, it wouldn’t be fair to leave the veggies out, would it? Here’s the low down on what you non-meat eaters should keep your eyes peeled for. Enter Inari sushi – the vegetarian filled pockets. You might have never even heard of Inari Sushi, but it first rose to popularity in Japan in the 1980s. Although little is known about Inari sushi’s early history, it’s said to be named after the Shinto God. 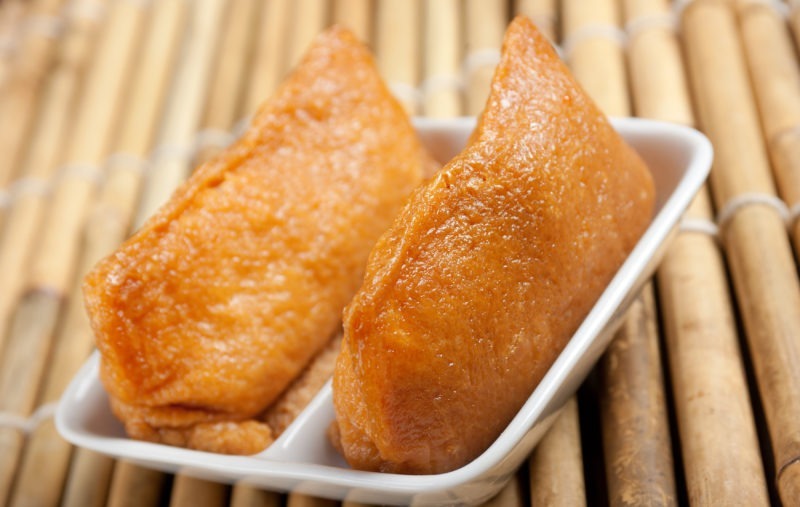 Inari is basically a little tofu pouch, typically stuffed with the likes of sushi rice and vegetables to resemble a close similarity to traditional sushi delicacies. The deep-fried tofu skin is marinated in sweet seasoning for extra flavour, and the fun doesn’t stop there. You can prep and stuff them in pretty much anyway you wish! They’re not only tasty, they’re healthy too. The little pockets of flavour don’t have to be just for veggies. You might just fancy a change from the usual sushi you eat, or perhaps you want to try something new. Inari sushi is definitely one to look out for. Maki – the veggie roll, is the type of sushi you’re probably most familiar with. You know, the seaweed roll encasing rice and raw fish? That’s Maki! But, what many people don’t realise is that it doesn’t always have to contain fish. There are tons of vegetable alternatives out there. Whether you’re in a Japanese restaurant or searching the supermarket shelves, there’s a world of vegetarian Maki you can get your mitts on. From the big, small and everything in between. Futo Maki are amongst the larger sushi rolls, which really just means you can pack more fillings in, and that’s got to be a good thing, right? 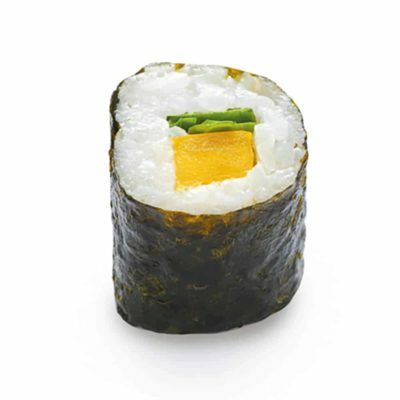 There are loads of exclusively vegetarian filled Futo maki available, so you’ve got your pick of the pack. If Futo Maki are the big guys, Hoso Maki are on the opposite end of the spectrum. These are the thinner, more refined rolls. These tasty light bites go well with just about anything. We like to fill our Hoso Maki with the likes of pickled cabbage, cucumber, or yellow pepper and rocket. 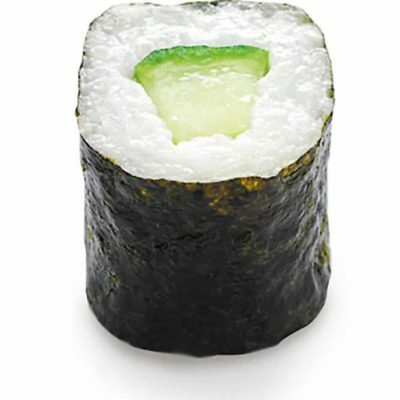 There’s plenty more to choose from, such as Kappa Maki, also known as a cucumber roll, to Kanpyo Maki, which contains gourd – a fleshy fruit likened to the taste of a sweet soy sauce. We told you veggies don’t have to miss out. Coined the ‘inside-out’ roll because it’s just that – inside out! The rice is on the outside, encasing the seaweed and filling. Although typically stuffed with fish, rules are there to be broken, right? Can come filled with a variety of vegetables – we particularly like stuffing ours with ingredients such as cucumber, pickled carrot and red pepper. We’ll let you in on a little secret – whoever said sushi was all about the fish was lying. Removing the fish component doesn’t compromise on flavour, at all! The key is finding vegetarian ingredients that work well together. Get your flavour combos right and you’ve got yourself a delicious bite of veggie sushi goodness. 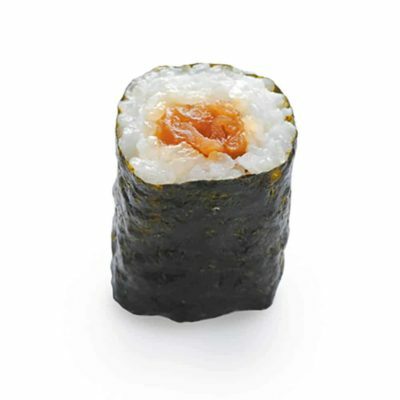 To make nigiri, a chef will press a ball of vinegared rice into an oblong shape. 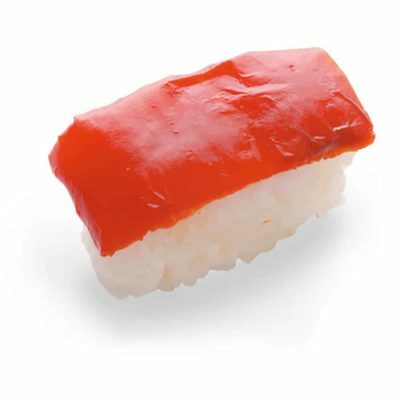 Typically topped with raw fish such as salmon, coated with the likes of wasabi. The great thing about nigiri though? It’s extremely versatile! Swap the fish out for just about whatever you like. Add a dash of wasabi and you’ve got a slab of delicious, fish-free sushi. We’ve personally found that using ingredients such as red pepper, tofu and egg omelette work really well. But, like we said, it’s versatile, so you’ll find loads of options. What’s more, vegetarian nigiri can be found pretty much anywhere – win! 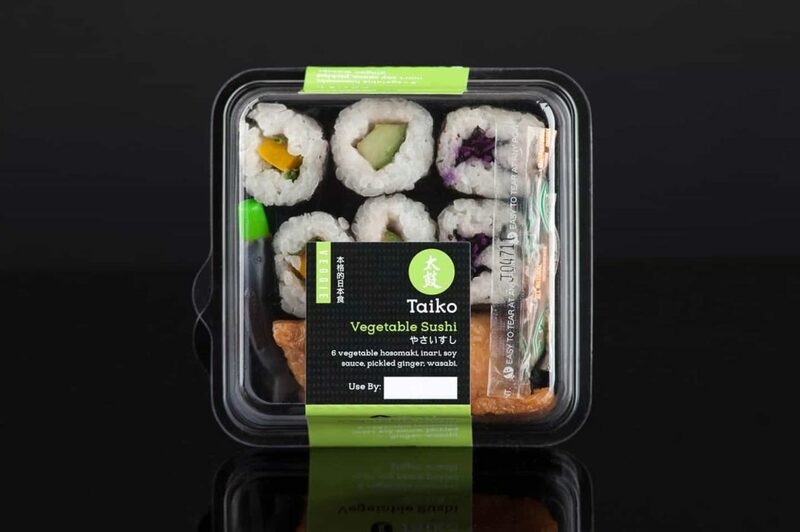 Here at Taiko, we offer a selection of vegetarian sushi products clearly identified by the ‘Modori’ green colour packaging, to make your life a little easier. At the end of the day we know you’ve got better things to be doing than spending 5 minutes scrolling through the ingredients on a food label to check it’s suitable for you! Taking out the meat certainly doesn’t mean compromising on flavour. Why should vegetarians miss out? That’s why all our veggie products are packed full of flavour and variety. Not only are our veggie options healthy and balanced, there’s tons of choice. From our vegetarian bento, to a whole vegetarian sushi platter. At Taiko we dare to do things differently, we go where others don’t. The result? 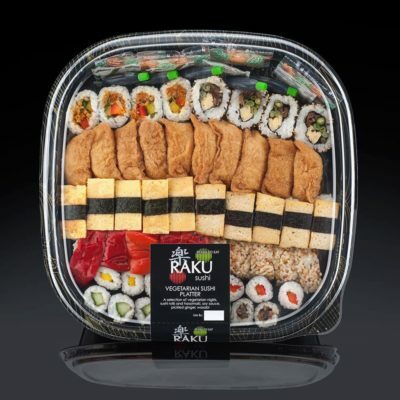 Delicious and authentic sushi, bento and Japanese food to go that everyone can enjoy. Find our products exclusively in more than 300 Waitrose branches. Fresh sushi bars at selected Waitrose stores. Serving up delicious, freshly prepared sushi platters.